Berico Fuels and partner companies, Carolina Fuels Inc. and Alamance Oil Co., have provided residential heating and cooling fuels and service throughout Greensboro, Eden, and Burlington since 1924. The companies together offer propane, home heating oil, kerosene, diesel fuel, gasoline, and lubricant products. Furthermore, Gateco Oil Co., Berico Heating and Air wholesale company, distributes heating oil, kerosene, gasoline, and diesel fuel for all of our commercial customers throughout the triad. In addition to fuels, Berico maintains a strong HVAC – heating and air conditioning service department, serving all four partnering companies for all types of equipment; from oil furnaces & boilers, to air conditioners and electric heat pumps, and more. The heating and air conditioning department is also fully equipped to evaluate your home’s heating & cooling efficiencies, ultimately to recommend, proper repairs, service plans and/or new unit installs. History In 1924, W.N. Berry founded Berry Coal Co. , today known as Berico Fuels Inc. in Greensboro, North Carolina. Since that time, Berico lives by the motto “Always Dependable” fuel delivery and by providing reliable, top quality heating & cooling installations and service to its customers.In 1960, the Berico owners expanded their operations to the commercial market through the development of Gateco as a wholesale distributor. Today, Gateco Oil Company transports heating oil, diesel fuel, kerosene, and gasoline products to businesses within a 100 mile radius of Greensboro. Gateco currently keeps and distributes product from the Greensboro Kinder Morgan Terminals. In 1981, Berico Partnered with S.H. 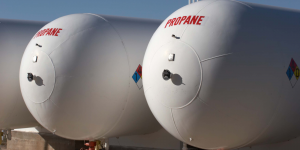 Knight Oil Company Inc. and ultimately Carolina Propane to form what is Carolina Fuels Inc. today. Carolina is located in Eden, NC and serves Rockingham County and surrounding territories. In addition to residential customers, Carolina Fuels is proud to be a strong supplier of fuel products to farmers in their respective territories. In 1990, Berico partnered with Alamance Oil Company in Burlington, North Carolina. Today, Alamance Oil provides customers, residential and commercial alike, with home heating oil, propane, and diesel fuel. Alamance is also the home of our motor oil & lubricants distribution warehouse. With Berico and partnered companies’ long history, we have learned the importance of providing first class customer service. We truly prize those loyal customers as the heart of our business. We have dedicated staff that will visit you personally to address any fuel or heating & cooling needs you may have.